Democratic Rep. Ilhan Omar wants Democratic Minnesota AG Keith Ellison to investigate USA Powerlifting because it won’t allow biological males to compete as women. 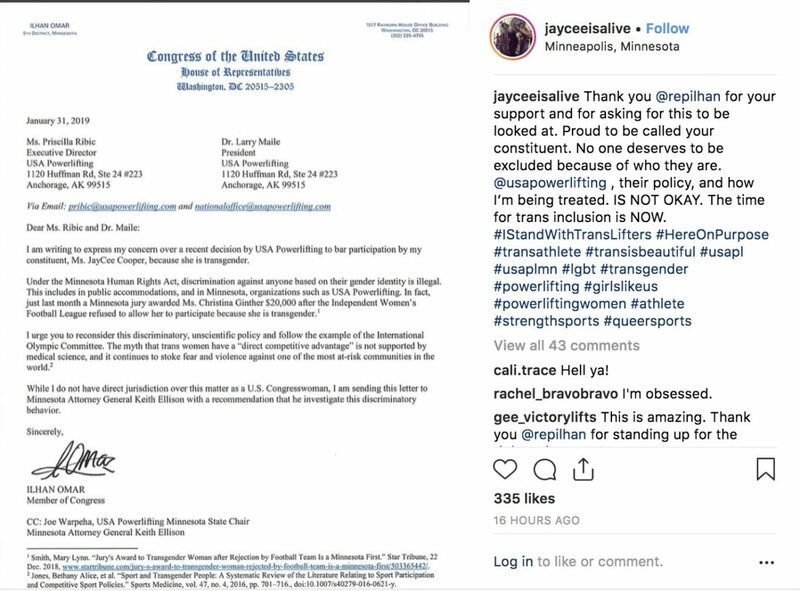 Omar sent a letter to USA Powerlifting on behalf of JayCee Cooper, a male athlete who identifies as a transgender woman. 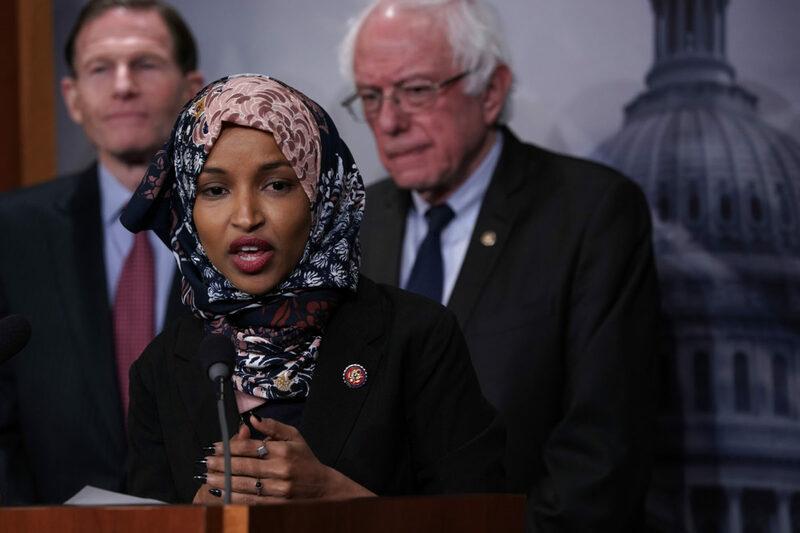 Omar accused the powerlifting organization of violating Minnesota state laws against discrimination. Henry Rodgers reported from Washington, D.C., and Peter Hasson reported from Texas.